Dr Belinda Lennox and Dr Daniel Freeman’s work is featured in a mental health special. 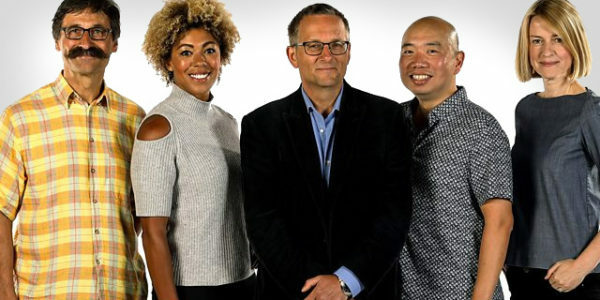 On 1st November, BBC Two’s flagship medical show ‘Trust me I’m a Doctor’ (presenters pictured) will be exploring mental health, including work by Oxford Health staff members. The programme will explore research by Dr Belinda Lennox (a consultant psychiatrist at the Trust and an Oxford University scientist) which suggests that some cases of psychosis may actually be triggered by an immune disorder. See a clip from the BBC programme about her work. Also featured is Dr Daniel Freeman’s work on how treating insomnia may reduce mental health problems. Dr Freeman is also a consultant clinical psychologist at Oxford Health, as well as a researcher at Oxford University. See a clip about his work on the BBC. The full programme will be available shortly after transmission on the BBC website.